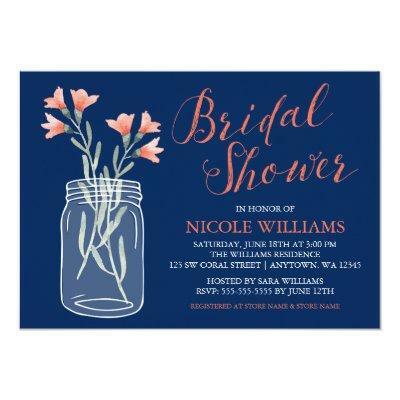 Rustic watercolor coral flowers in a mason jar on a navy blue background. A stylish design for a country bridal shower. Easily personalize with your event details.